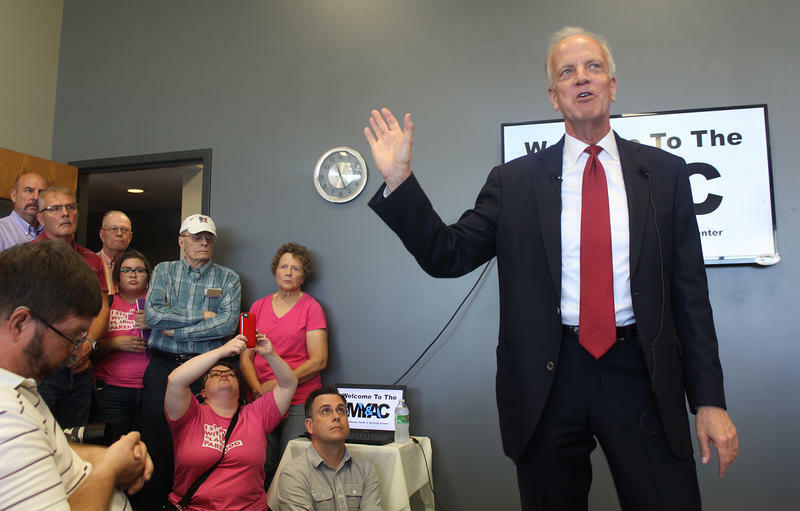 U.S. Sen. Jerry Moran speaks at a town hall meeting Thursday in Palco. Several people traveled more than 100 miles to attend the meeting, where Moran discussed the GOP bill to repeal and replace the Affordable Care Act. 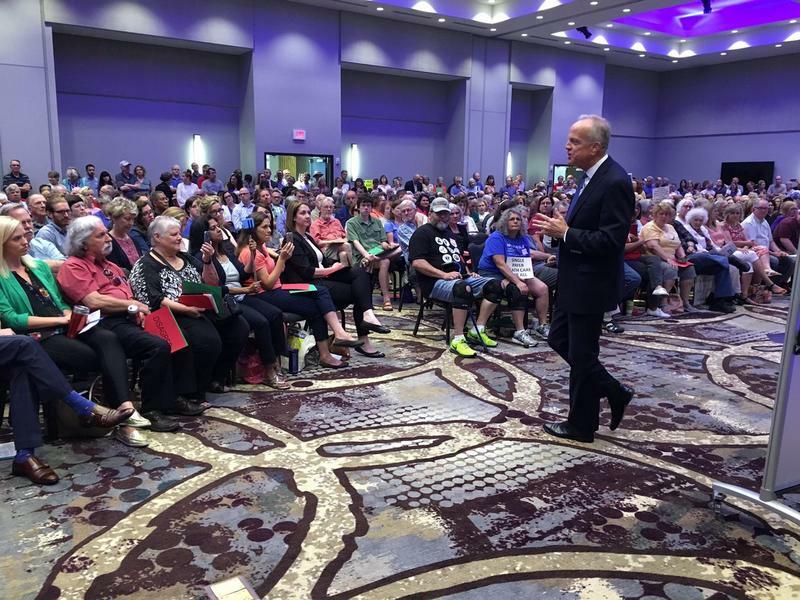 Among other things, Moran said he is concerned about the effect of nearly $800 billion in proposed Medicaid cuts on rural health care providers and Kansans with disabilities. And he said he doesn’t like how the bill treats Kansas and other states that have not expanded eligibility for their Medicaid programs. More than $680 billion would be diverted to expansion states from non-expansion states by 2025, according to the Kansas Hospital Association. Kansas’ share of that loss would total about $21 billion. Approximately 120,000 Kansans would lose their health insurance under the bill due to the Medicaid cuts and higher out-of-pocket costs for private coverage, according to estimates compiled by the Urban Institute. Several people traveled more than 100 miles to attend the meeting, which was in a community center in the tiny community of Palco. Margy Stewart, a retired college English instructor, traveled from her ranch in the Flint Hills to thank U.S. Sen. Jerry Moran for opposing the initial draft of the Obamacare replacement bill and to urge him to stand firm. 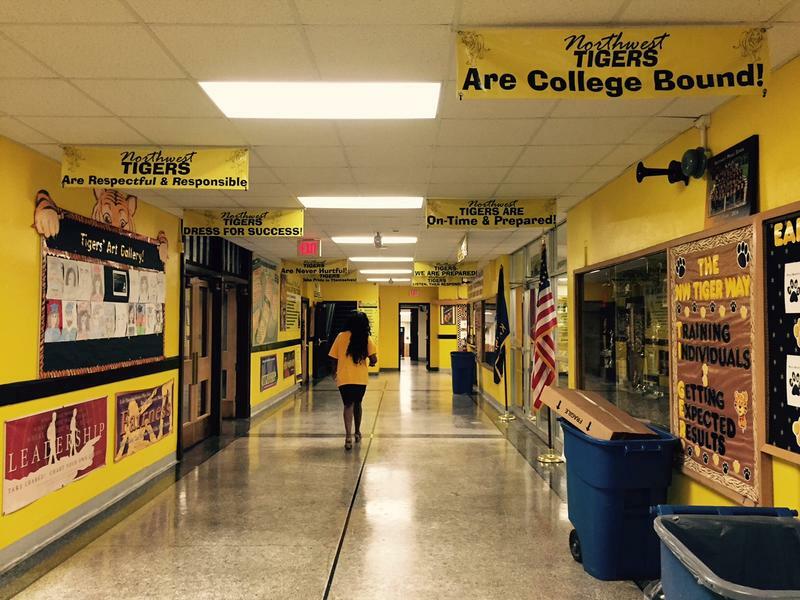 “I want him to think more about Kansans and less about pleasing his leadership,” she said. 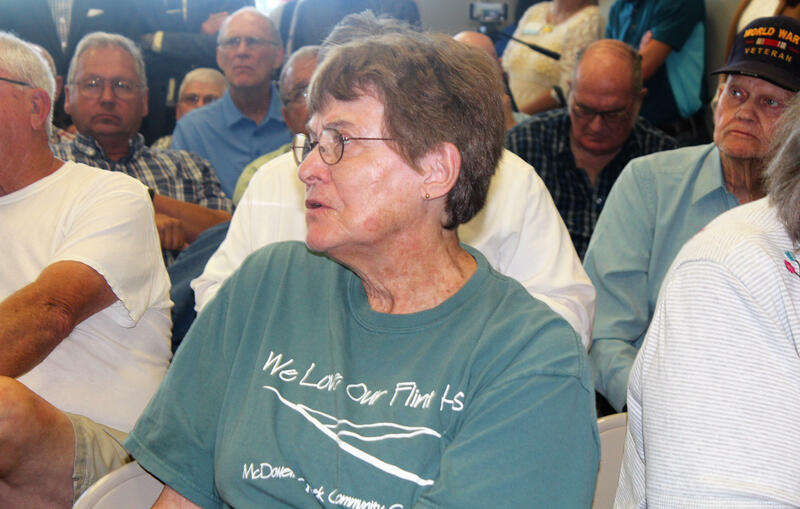 Margy Stewart, a retired college English instructor, traveled from her ranch in the Flint Hills to thank Moran for opposing the initial draft of the ACA replacement bill and to urge him to stand firm. Moran was asked several times why Republicans were so intent on repealing a law that has expanded health coverage to millions of Americans. Audience members also asked why Senate members can’t work together to craft a bipartisan bill to fix the ACA. In response, Moran said while he also would prefer that approach, Democratic leaders aren’t willing to make the substantial changes needed to fix Obamacare. 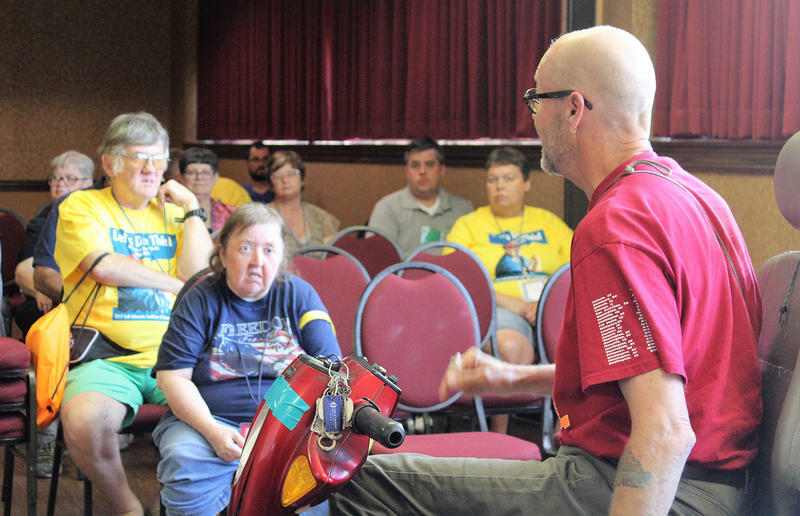 “It takes two parties who want to come together, and it takes the American people to demand that,” Moran said. 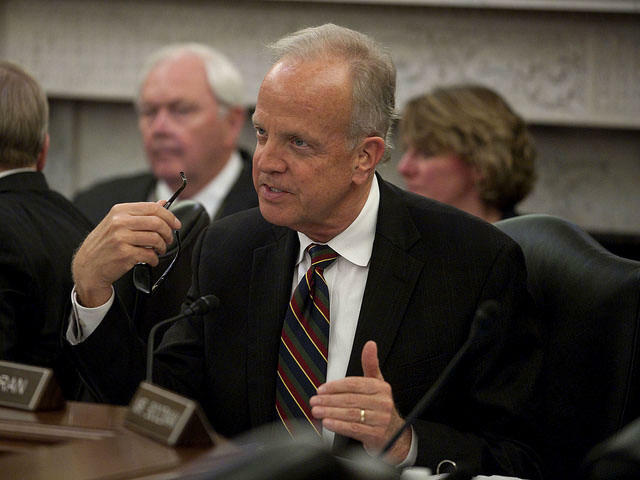 Though he’s open to supporting a compromise measure, Moran said he isn’t optimistic that GOP leaders can alter the bill so that it’s acceptable to both moderates and conservatives in their caucus. “It’s almost impossible when you’re trying to do it with 51 votes in the United States Senate, in which there is not significant consensus in what the end result ought to be,” he said.